We specialize in women’s health, hormone balance, pain management, stress management, and healthy lifestyle support. We provide unique individualized care, with a whole body approach. Our unique integrated approach incorporates both modern day research-based medicine and ancient wisdom of Chinese medicine, acupuncture, herbal medicine, nutrition and functional medicine. We focus on the underlying root cause of disease using a unique individualized patient-centered approach, which allows us to address the whole body, rather than placing a “band-aid” on the symptoms. Our main goal is to give our patients the opportunity to heal. Who is Wisdom of Health? Nadiya Melnyk DAOM, L.Ac, is a board-certified by the National Certification Commission for Acupuncture and Oriental Medicine (NCCAOM). 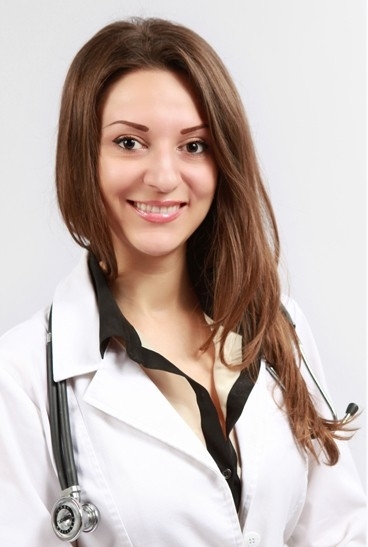 Dr. Melnyk began her career with a Master degree in Oriental Medicine and Bachelor degree in Nutrition from the Midwest College of Oriental Medicine in Chicago where she graduated with highest honors. Nadiya obtained her clinical research Doctorate degree from Yo San University of TCM in Los Angeles, California. This doctorate specialized in Integrative Medicine in Healthy Aging and Longevity. Her research was on “Acupuncture, Acupressure, and Electro-Acupuncture for pain management in childbirth labor.” Additionally, she is trained and certified in Dr. Tan Balance Method, Microcurrent Electro-Acupuncture for Energy Light Rejuvenation, EFT (Emotional Freedom Technique), and holds Mei Zen Cosmetic Acupuncture certification. Nadiya specializes in women’s health and Cosmetic Acupuncture, she also works on pain therapy and rehabilitation. She treats patients with the up-most respect and gives them her complete attention. She has a gentle touch and a caring demeanor. Dr. Melnyk treats the body as a whole to achieve optimum wellness. It is her passion to help her patients to look and feel good inside and out. The Opioid Crisis: Conquering Pain & Addiction in the U.S.